Maimi sends out birthday wishes to a couple of members with a few hiccups in her January 7th update “Hehe(^^)“. Full translation below. 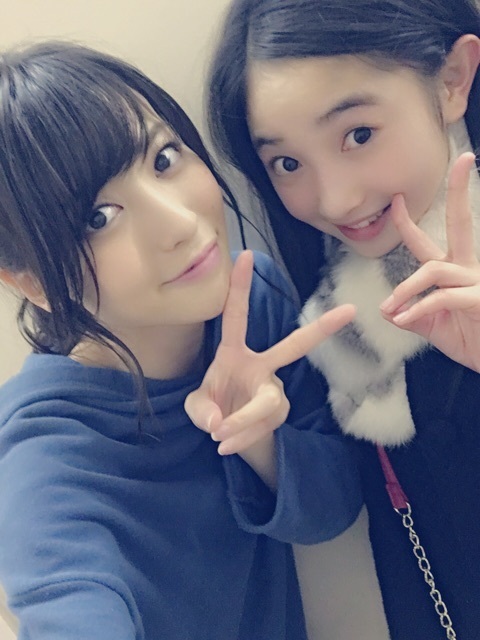 Posted on January 7, 2016, in Blog, Translations and tagged Yajima Maimi. Bookmark the permalink. 1 Comment. In Maimi’s original version of this update, she wrote “Morning Musume 15” (it’s “16” now) and a now-removed part about how Ayumi can now work past 9:00PM (she’s been able to do that since turning 18), but both things have since been corrected. However, Maimi also refers to the 14-year old Yanagawa as 13 several times, which hasn’t been corrected yet.